This entry was posted in Spring 2017 by kmulvehill. Bookmark the permalink. Why will Slavery happen in the future? 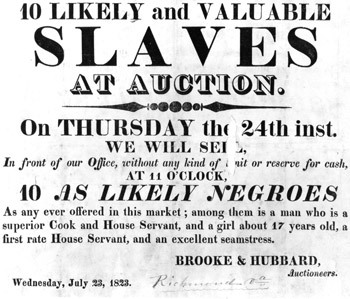 Is slavery actually a consistent part of humanity? What is the danger in just making the assumption that throughout anytime and area that there was slavery? We as a society like to believe we are the epitome of modernity but that is not necessarily true. We cannot assume that civilization and development is linear and that we are now above instituting a system of forced, free labor again. I hope that slavery or anything like it never happens again, but I am not confident. Additionally, it can be said that slavery is still present today, with roughly 20 million people in that position (see 4th “source” or second “further reading”) so assuming it will happen in the future is pretty valid if it is happening now. I would argue that slavery is definitely a consistent part of humanity, it has existed periodically throughout the last 4000 years, but you should not assume it *always* exists. The type of society impacts its existence, for example, slavery doesn’t make as much sense in a hunter gatherer society, it is ethnocentric of us to assume that all groups of people would behave similarly to us. Slavery should be assumed where it is likely to have existed, becuase it probably did. The important thing here is for archaeologists and anthropologists to stop just searching for slavery and leaving it at that. 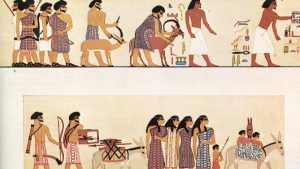 It is better to assume it exists or has existed within a centralized society and move on to study things like its impacts, who were slaves and why, what was life like for them, instead of merely debunking it in the way of “these walls/pyramids/any monument that people thought were built by aliens/gods/cyclopes were actually built with hundreds of years of forced labor!” It is time to move past that, so if assuming slavery exists will better syphon efforts into learning about and studying these enslaved peoples then so be it. If along the way it is discovered that these hypothetical slaves actually received wages or were free and therefore not enslaved, then we learned more about a people and that is good.